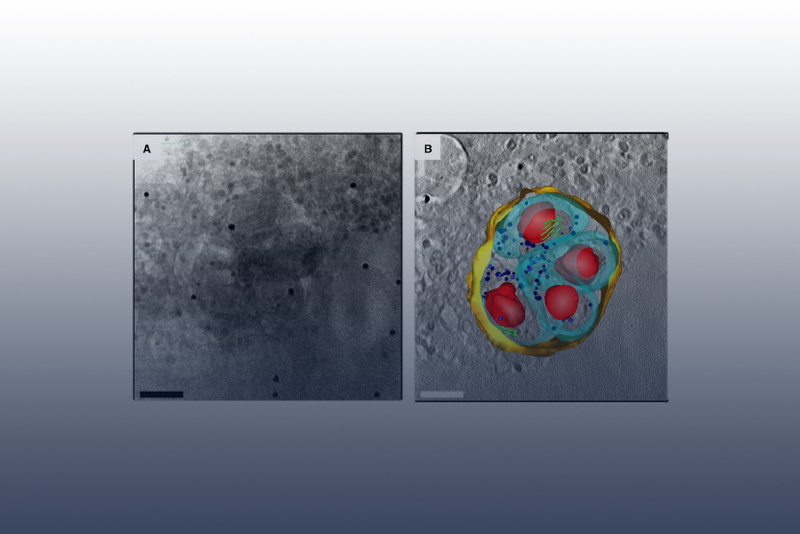 – Correlated soft x-ray and fluorescence microscopy of Schizosaccharomyces pombe showing stained vacuoles (middle image) and the segmented organelle (rightmost image) with key: nucleus (blue), nucleolus (orange), mitochondria (grey), vacuolus (white) and lipids (green). 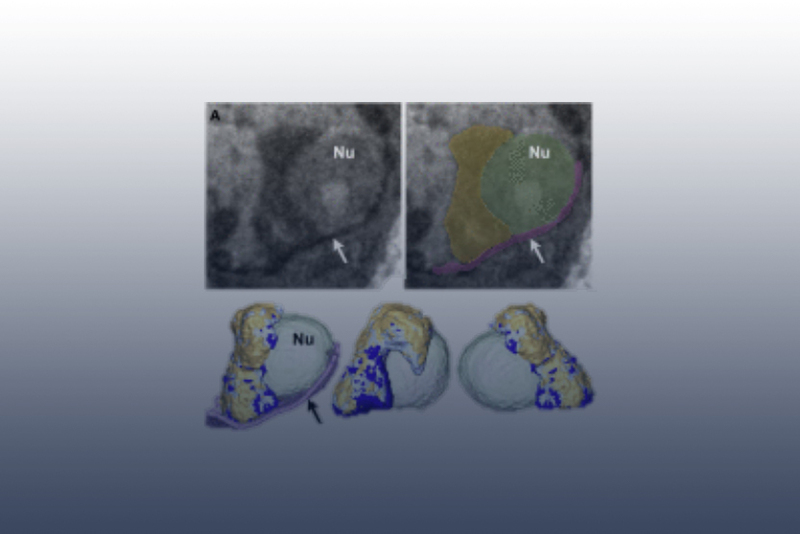 – Combining Soft X-ray Tomography (SXT) with cryogenic Confocal Fluorescence Tomography (CFT) to combine molecular localization data with the high-resolution 3D structural images of the cell in order to identify the inactive X-chromosome. 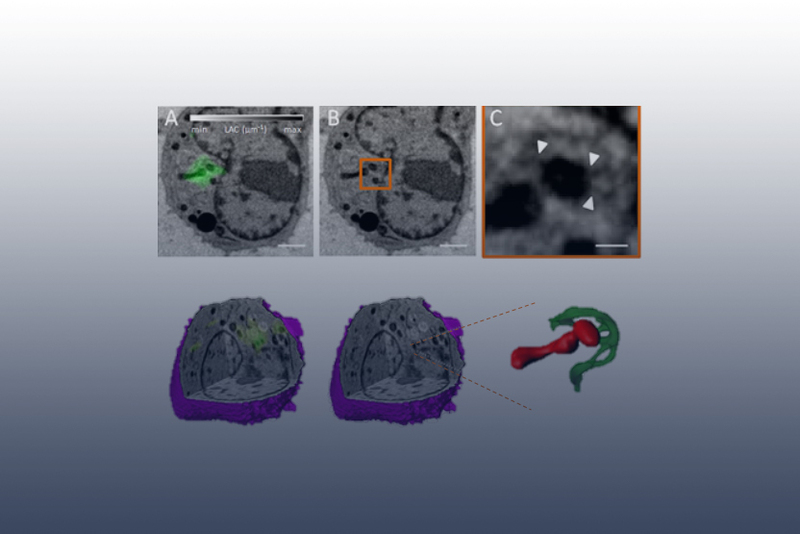 – Using correlative confocal live-cell imaging, cryo-fluorescence microscopy and soft x-ray tomography to link the involvement of mitochondria outer membrane proteins(MiD51) and the endoplasmic tericulum (ER) in mitochondrial fission. 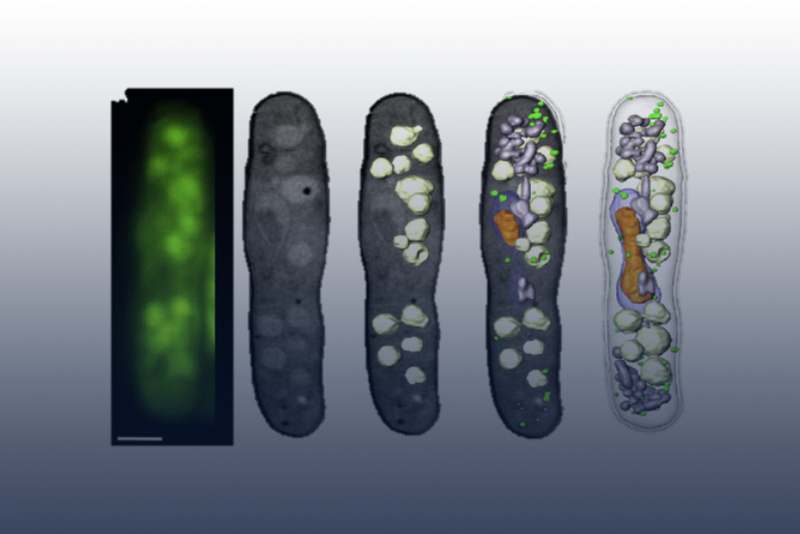 Key: ER extensions (green) contacting the mitochondria (red) at the MiD51 foci. – A segmented cryo-SXT image of a human fibroblast cell containing four Toxoplasma gondii parasites. 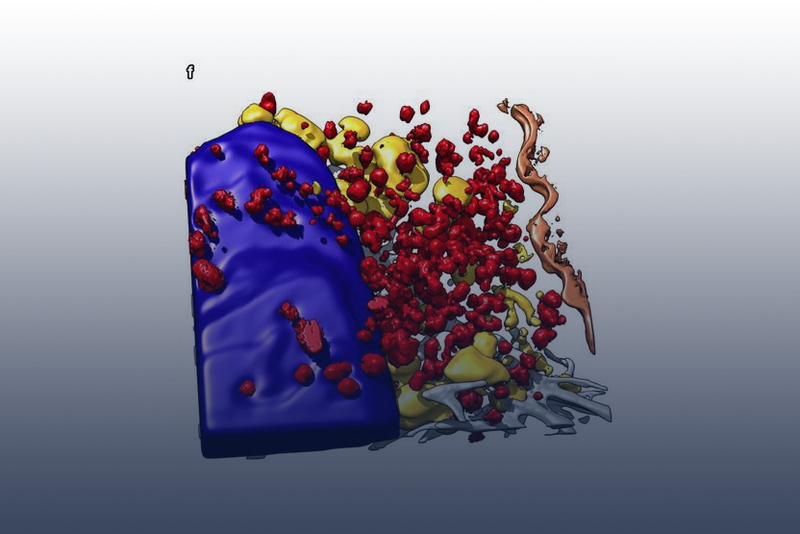 – A segmented cryo-SXT image of a breast cancer cell line (MCF-7), which had been incubated with Superparamagnetic iron oxide nanoparticles (Spion), showing fast nanoparticle transport through the endocytic pathway to the nucleus. 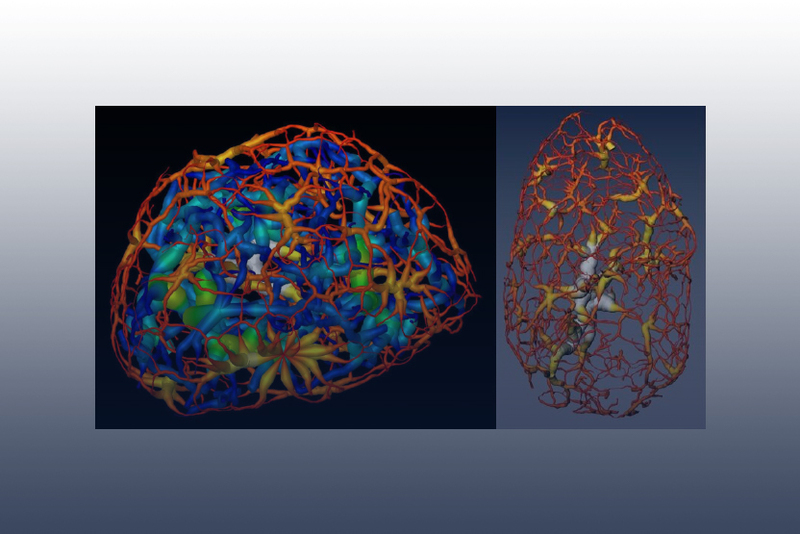 – Soft X-ray Tomography has been used to map the reorganization of heterochromatin (type of DNA) that takes place when a stem cell matures into a nerve cell, providing a new understanding of a cell’s evolving architecture. 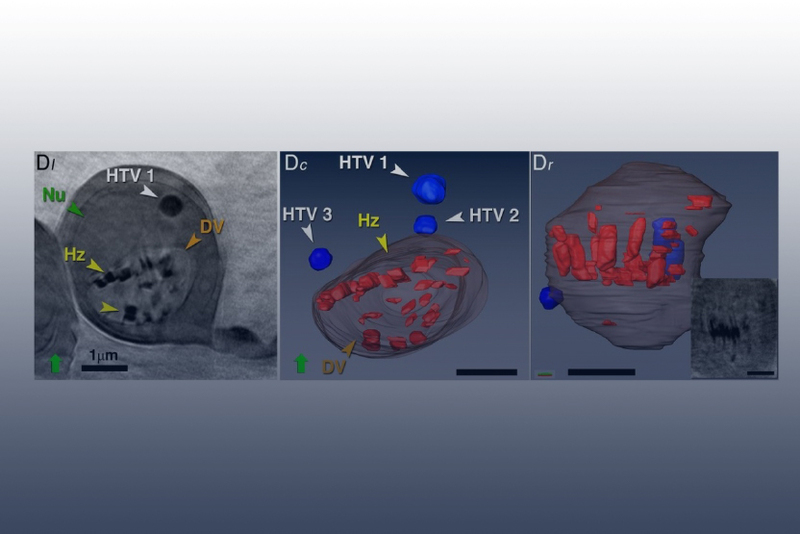 – Soft X-ray Tomography was used to study hemoxoin crystal growth in the Plasmodium parasite, which is transmitted by the mosquito and causes malaria when released into the bloodstream.